Questions like Does the ISS have zenith-facing windows? 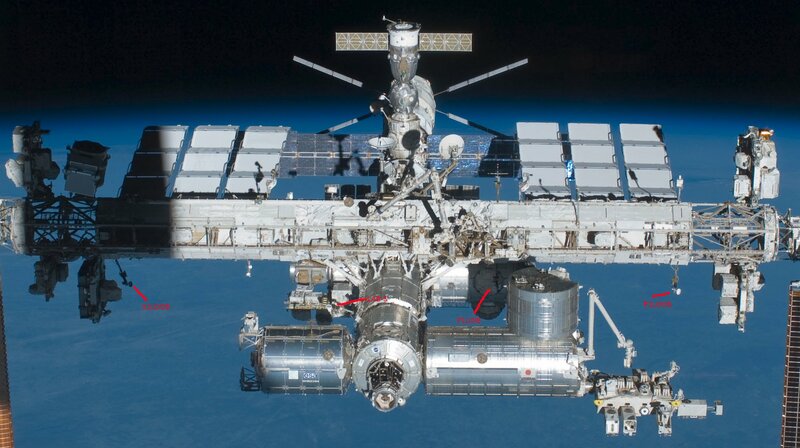 and also Does the ISS have any ability to detect or sense unexpected/unscheduled objects in close proximity? have also been asked about ways to know "what's out there?" which in this case means outside, but close by the ISS. There are all kinds of scenarios, each with a low probability, that one would want to have a look in places other than where there is a window. And of course during space walks and/or robotic transfers of objects visual monitoring is extremely valuable. What kind of camera system exists on the outside of the ISS that allow visual awareness of things going on out there? How are the cameras arranged? All of the cameras listed so far can be zoomed in and out. Except for the LEE cameras, they can all be panned and tilted as well. 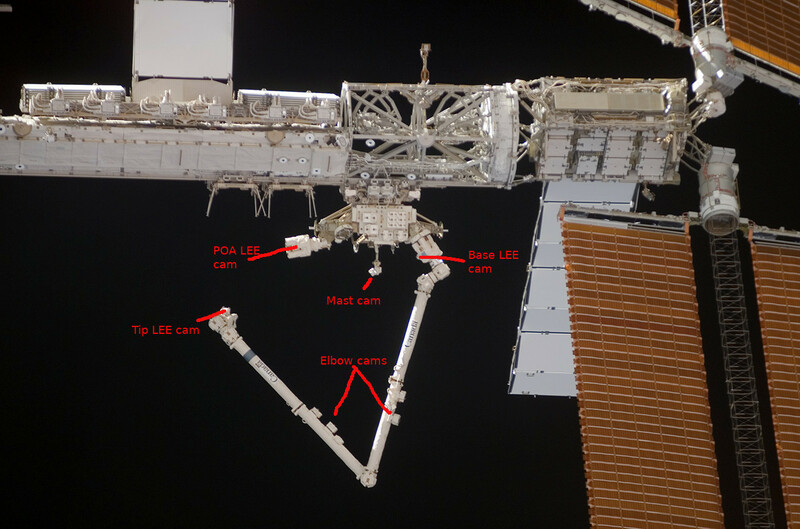 Of course, the SSRMS could be maneuvered to point a Tip LEE camera at an object of interest. There are robotics-related cameras on the Japanese Experiment Module as well; I do not know the details. No doubt there are experiment-related cameras around the station as well, and external cameras on the Russian segment. Not the answer you're looking for? Browse other questions tagged iss camera spacecraft-cameras or ask your own question.